Legend has it that GM copied (or hired) Lotus for the suspension re-design of the last year of Fiero production, but the truth is a smidge less exciting. However, knowledgeable sources claim that the new suspension design for 1988 was something the gearheads at Pontiac wanted all along before they were strong-armed by weakknee'd bean counters into using suspension borrowed from the Chevy Citation (barf!). 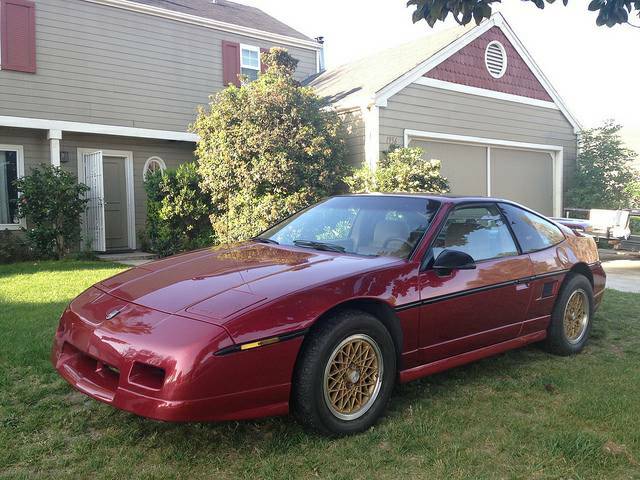 Find this 1988 Pontiac Fiero GT offered for $3,650 in Melba, ID via craigslist. Tip from Rock On! 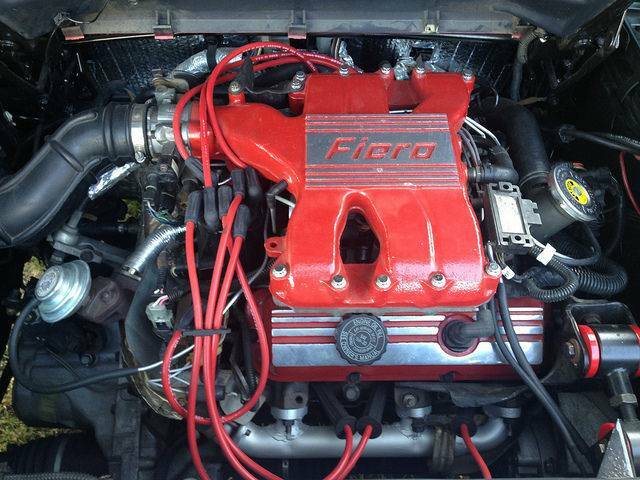 This Fiero has been given a mild upgrade in the power department with a 3.4 liter V6 from another Chevyontiac and has a 5-speed manual box (the biggest stock Fiero engine was a 2.8 liter V6). It looks good riding on some sort of basketweave alloys and cosmetically seems nice for the asking price. Pretty sure those wheels were a factory option, but they look good on those cars. Overall, it looks like a nicely done build with basic but effective upgrades. Too bad I don't have the money for one right now, because if I were buying a Fiero, that looks like exactly the way I'd want one for an everyday commute. I gave it away for FREE with 26,000miles! Pretty sure it wasn't a 3.4!! !